RNN survey – many thanks! Many thanks to everyone that completed our recent survey. 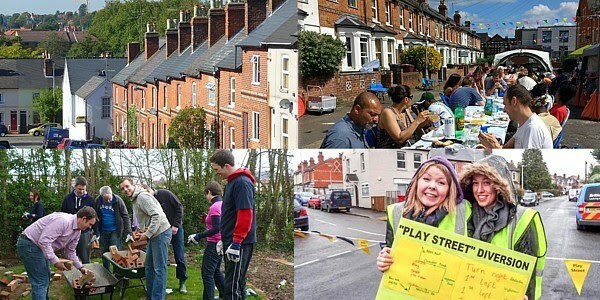 We had a great response, and it’s really good to know that there are still plenty of active groups of neighbours around Reading and people getting involved in their communities. Our next step is to spend some time analysing the responses to the survey. The holiday season’s here, so please be patient with us – we expect to review the results at the beginning of September and will be in touch shortly after that. Our particular thanks to everyone that expressed an interest in getting involved in Reading Neighbourhood Network and helping us engage better with communities. We will be contacting you individually during September, and hope to be seeing you soon. If you haven’t yet expressed an interest in getting involved in reshaping RNN but would like to, please feel free to get in touch at any time by sending an email to info@rgneighbours.net.